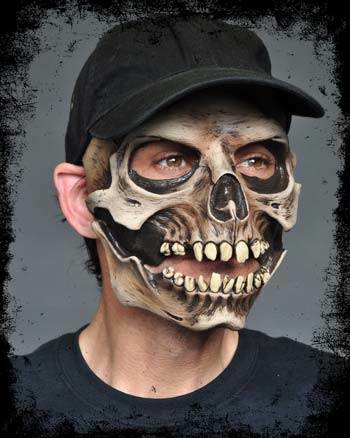 This Skull Cap mask has moving mouth action - as you move your mouth, the mouth on the mask moves too! Latex mask is attached to a dark baseball cap. Easy on/ Easy Off with excellent movement.